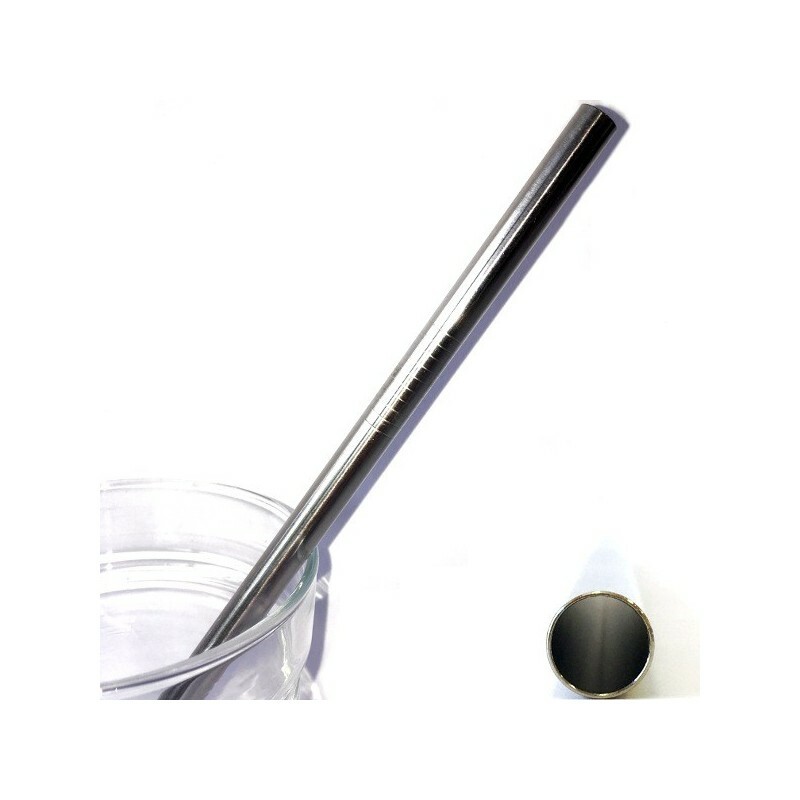 High quality reusable food grade #304 stainless steel straw with a regular size diameter for most drinks. For smoothie or thick drinks see our smoothie straw. No packaging! 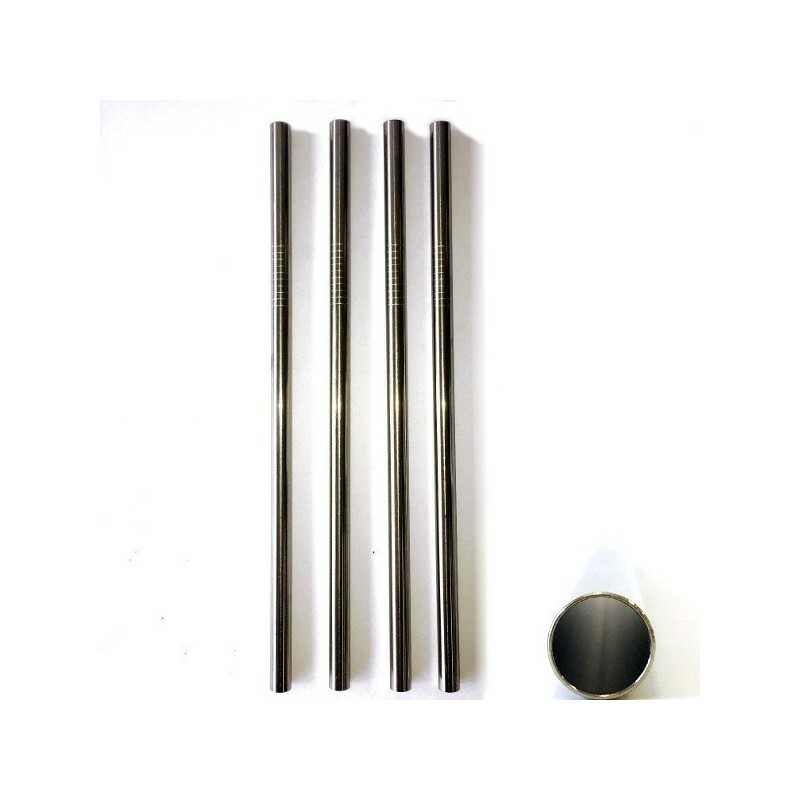 Stainless steel straw features a regular size 8mm internal diameter. This straw is produced and supplied with no packaging to waste! 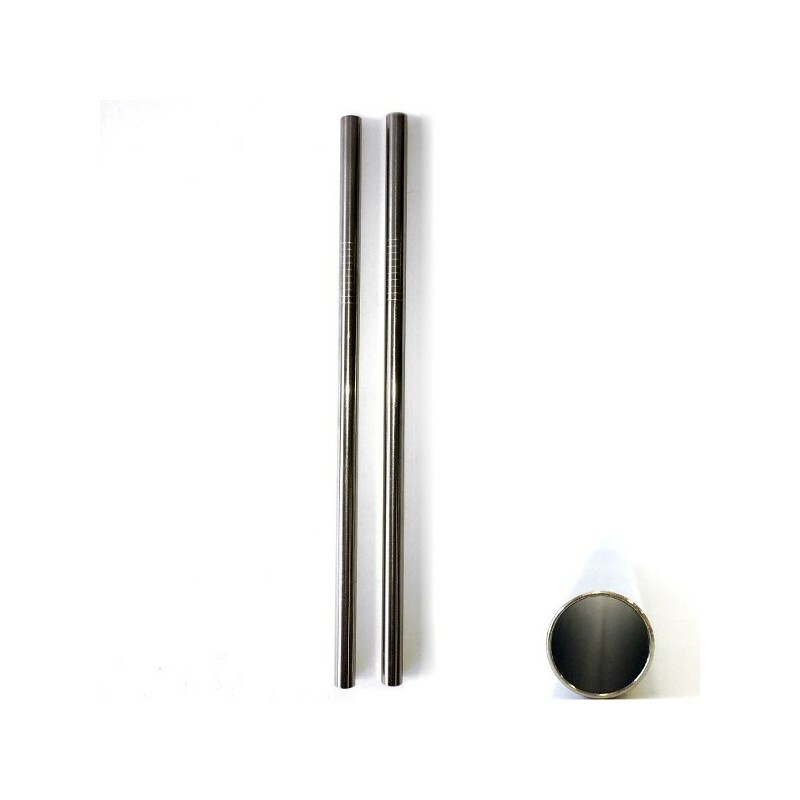 Image with three straws shows from L-R: straw spoon (no longer available), regular 8mm straw, and smoothie 9.5mm straw. Each time you use a reusable straw it equals one less plastic straw ending up in landfill. A reusable straw has the potential to replace thousands of plastic straws! High grade stainless steel won't leach toxins into your beverage as you drink. Anyone given a straw should be taught not to bite down on the straw as it may hurt their teeth or mouth. Do not walk or run with the straw. 8mm external diameter, 6mm internal diameter, 21.6cm length. Please note that these straws do not fit in the Ball Mason Daisy Lids. 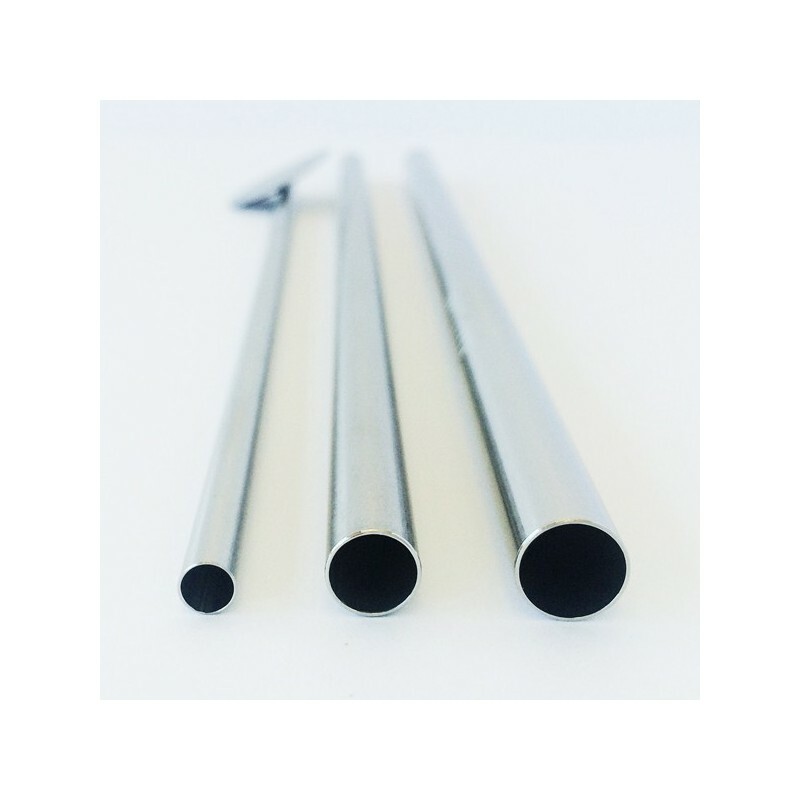 Browse all our stainless steel straws.